Every year, the country of Mexico (and those of Mexican descent living in other countries) celebrate Mexican’s date of independence, which occurred on September 16, 1810. Contrary to popular belief, May 5th (“Cinco de Mayo”) was not the day that Mexican won its independence from Spain, although this was the date of an important battle several decades later. Now is a good time to brush up on the history of Mexican independence and reflect on what it means for the culture today. For more than 300 years, Spain ruled with an iron fist over Mexico. Over time, tensions grew, as many people living in Mexico felt as though they were being oppressed and that they didn’t have enough rights. Around the time of the French and American revolutions, those living in the middle class of Mexico got inspired by other countries’ fights for independence, and the unrest become increasingly difficult to ignore. Specifically, many living in Mexico wanted to break free from Spanish rule, establish their own government, and avoid feeling as though their lives were being dictated by the Catholic church and unfair rulers. And so began the fight for independence. Most would agree that the fight for freedom officially began in 1808, when Mexico set up its first government (while still feigning loyalty to Spain). However, it wasn’t until around 1809 and 1810 when the actual battles began to erupt. So, what is the significance of September 16? Well, it was on this date that a Catholic priest actually led his people in rebellion against Spain in the city of Dolores, proclaiming cries of “¡Viva México!” for all to hear. This same group of rebels ended up marching all the way to Mexico City after ordering for the arrest of the entire town’s Spanish population. And even though this day did not mark the official date of independence from Spain (that didn’t come until much later, after many more years of fighting and violence), Mexican Independence Day is rightfully celebrated on this date due to its undeniable significance in the fight for freedom. 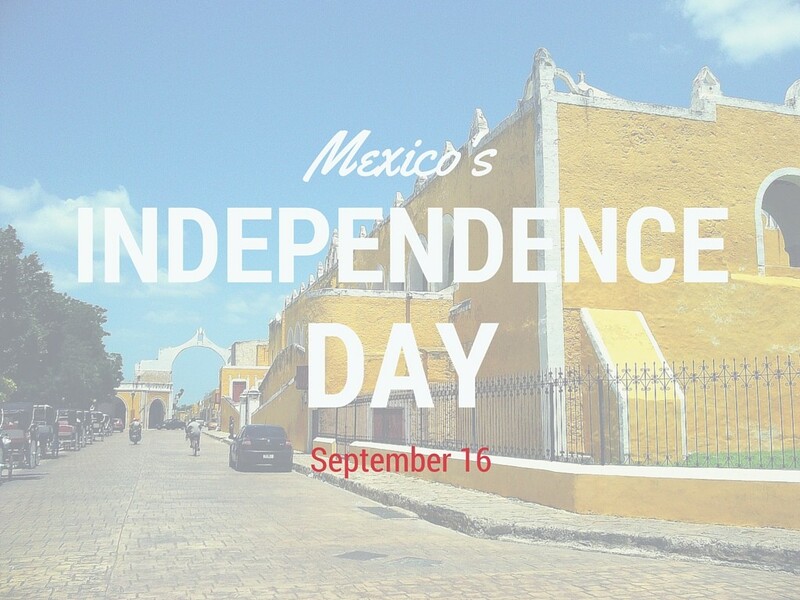 In Mexico, September 16 is a day of celebration. Every year on this date, Mexico City comes alive with parties, festivals, decorations, and the enjoyment of lots of traditional Mexican food. Of course, you don’t have to visit Mexico City (or even Mexico) to celebrate this monumental day in the country’s history. You can easily throw your own celebration, whether it be at home or at your favorite Mexican restaurant. Specifically, consider whipping up some traditional Mexican food, drinks, and desserts. Decorate with the colors of the Mexican flag (red, white, and green), and spend some time with family and friends as you remember the brave people who fought for independence and stood up for their beliefs. What better way to celebrate independence than to honor the rich culture and history of these people? Now that you’ve enjoyed a nice little refresher course on the history of Mexico and its independence from Spain, all that’s left to do is figure out how you’re going to celebrate the big day this year. Consider stopping by Macayo’s for some delicious Mexican food and all your favorite drinks!